Imagine surfing the web, screen emails, watch DVD and even work on presentation all at once without flipping through windows. 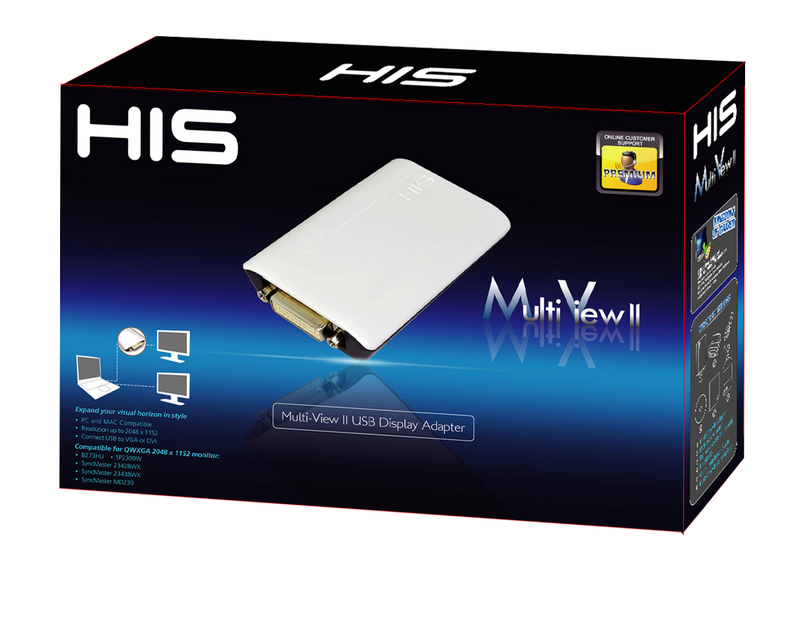 Just plugs in the HIS Multi-View II and you instantly connect to a second screen! 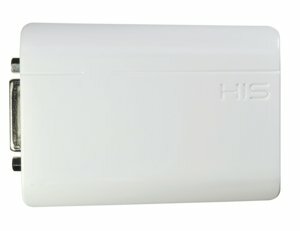 Support up to 2048x1152 (2.4 MegaPixels) pixel resolution and 6 monitors connection at the same time, it’s as easy as connecting a USB gadget. Once you have more than multi-monitors hooked up, multi-tasking is made far easier and increase productivity. 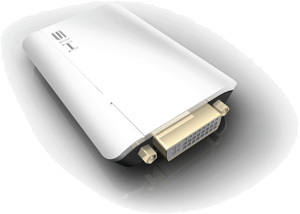 Supports up to 6 additional displays to your computer by connecting up to 6 Multi-View II USB adapters, via digital (DVI) or analog (VGA) connection. 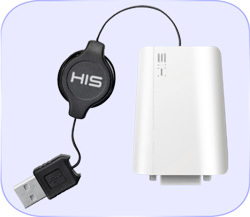 Easily expand your desktop space by connecting monitor, projector or HDTV through USB interface. 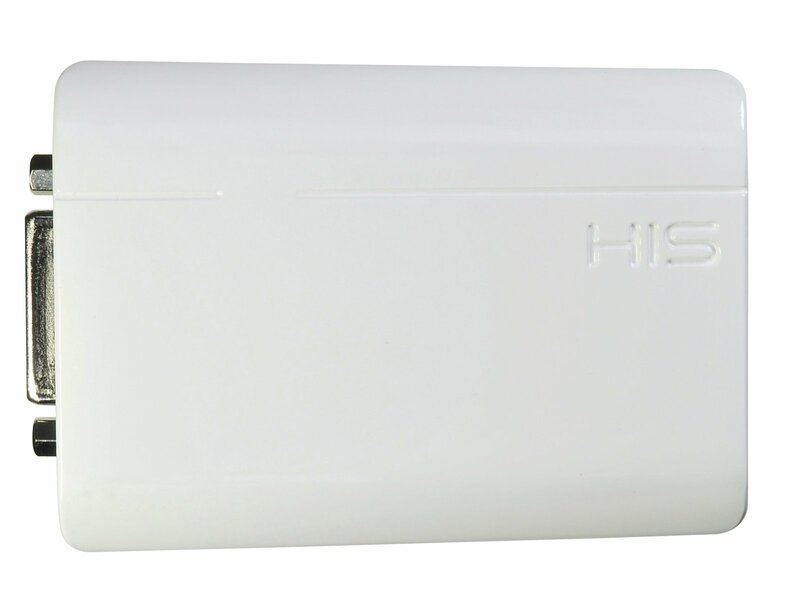 Support Plug and Play installation. Ultra-small and stylish mobile companion for notebooks and netbook users, meeting your mobility needs and reflects modern digital lifestyle. 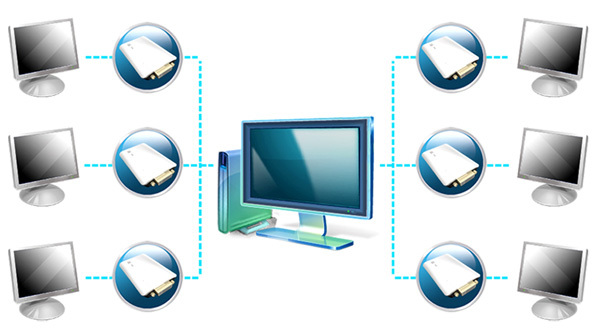 Configuration flexibility allowing extend and clone desktop display. 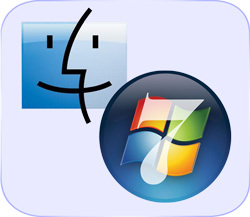 Configurations are remembered with the unique benefit that when unplugging the device, all applications are brought back to the computer's main display, to enhance mobility. I have used this product running a quad screen with industrial process a control system, from an old laptop, and it simply does work flawless, no issues at all. The resolution is great and very easy to make it work. Fantastic tool!!! 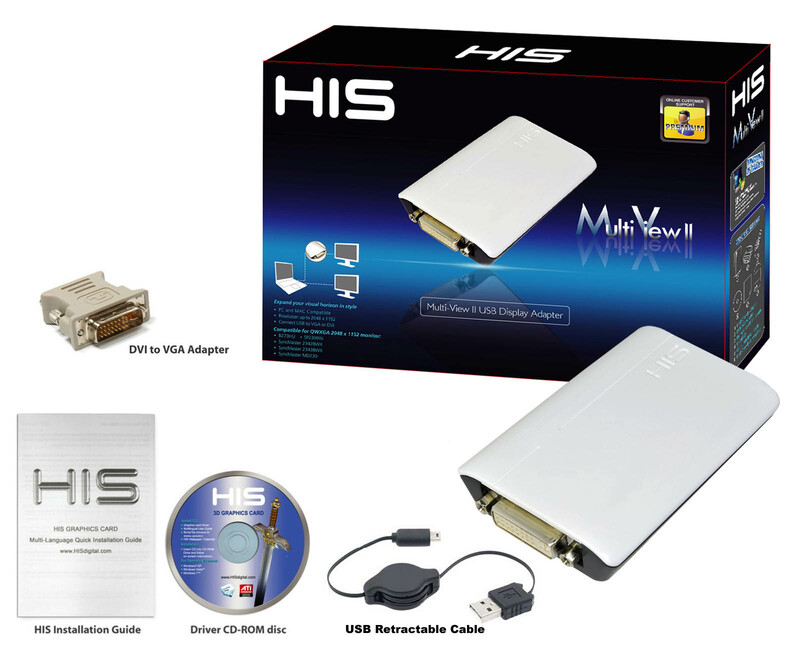 its easy to install on a Macbook 3.1 and works brilliant! Even with two external display with different solution and frequences. Different to the youtube clips, its necessary to install the driver, before you try to connect the hardware. Otherwise you will have a bad result. It was not easy to find that tool. A lot of computer-friends said it is not possible to connect a display with USB. I have been using this HIS Multi-View II Adapter for last 5 months. 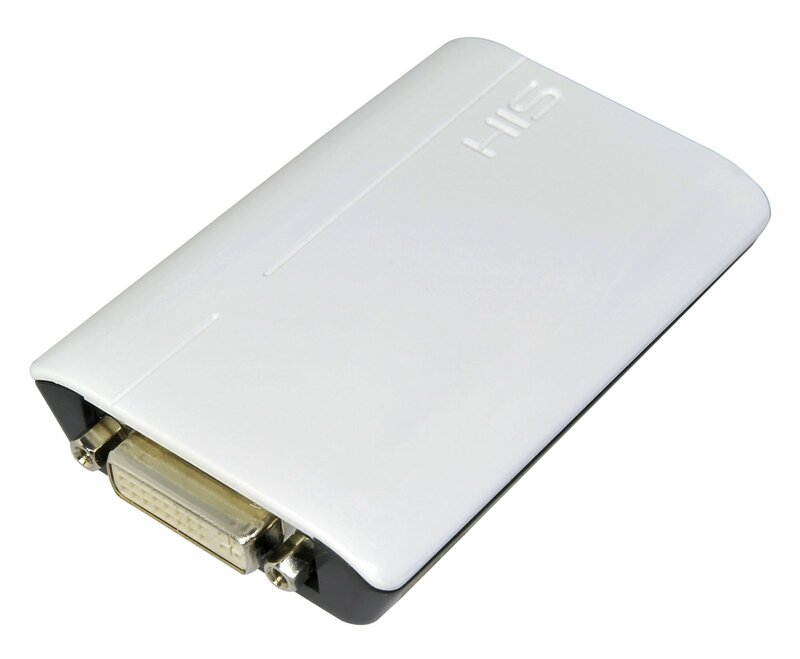 It performs as specified and I use it for testing monitors and projectors. It has shown to be a valuable tool. It is very easy to change settings. It accurately reports the EDID information from the display device. At my desk I use it daily with my laptop and connect it to a second monitor using DVI. I would like to add a third display and get another one. 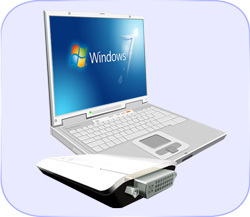 In the field I use my it with my laptop and then connect it to a projector for testing or presentations using DVI. During testing I sometimes change the cable from VGA to DVI without having to make any other changes. 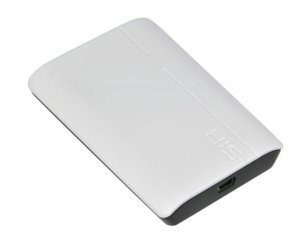 This product it perfect for connecting mutiple displays to a laptop or anyother PC. 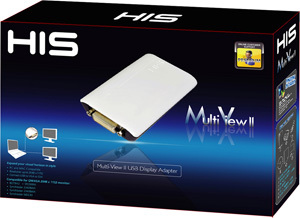 I bought this usb to dvi adapter for the 2nd monitor atached to the laptop and it works great. The drivers were easy to install and it works at 1080p as advertised. This little device made my macbook so much more enjoyable. Compact, easy to pack up. A mobile office for trading is an HDMI connection away! "As a gamer, it’s nice to be able to see my chat window in the other screen while playing a game from a display that I can pick up and take to another machine later on. Sitting downstairs working on my netbook, it’s nice to have an extended screen set up so I can edit or write a review without having to go upstairs to my main PC just for some screen real estate" - Viperlair "Recommended Product"
"Overall we are very impressed with the performance of the adapter. 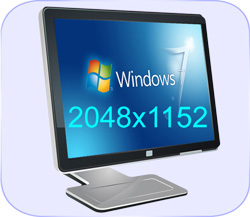 When performing basic tasks like browsing and word processing, you wouldn’t know that the monitor is connected to anything other than a graphics card....it represents great value for money and is perfect for those on the go or those who need multiple displays on their laptop. Thanks to it’s Mac compatibility, we can see many Macbook owners adopting these so they can use multiple external displays." KitGuru "Must Have Award"